The Summer Olympics in Rio de Janeiro won't give Brazil the boost it needs. That's according to a new report by Moody's Investor Service. It found that the Olympics will help improve Rio's infrastructure, but any gains from the surge of tourism won't save Brazil from its longest recession since the 1930s. "The games will last just one month and the associated economic stimulus pale compared to Brazil's economy," writes Moody's senior credit officer Barbara Mattos. Brazil's crisis took a turn last week. The senate voted to begin an impeachment trial against President Dilma Rousseff, forcing her to temporarily resign. 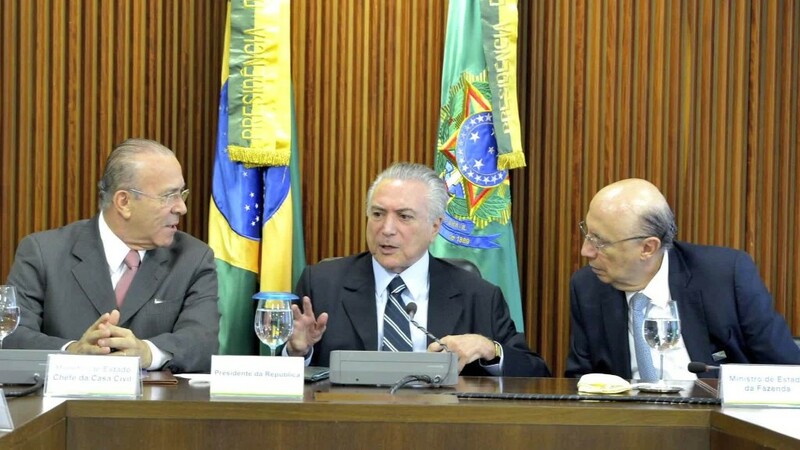 Her vice president, Michel Temer, became the interim president on Thursday. The leadership shake up came less than 85 days before the Olympics arrive in Rio. Moody's notes that almost all the facilities for the Olympics are complete and under budget. Brazil expects about 350,000 visitors for the games, which offers short-term boosts for food and drink companies, as well as airlines and hotels. But even those short-term benefits are no guarantee. Brazil has become ground zero for the Zika virus, which may be linked to microcephaly, a birth defect. The Centers for Disease Control and Prevention has cautioned pregnant women from attending the games, and some female athletes, like U.S. soccer star Hope Solo, say they won't leave their hotel except for games and practice. It is important to remember the Olympics will occur during Brazil's winter, when the mosquito population dwindles. Still, Zika fears are a key reason why ticket sales for the Olympics are down. By early April, Brazil's former sports minister, Ricardo Leyser, said only half the Olympics tickets had been sold. Temer replaced Leyser last week with another sports minister, Leonardo Picciani -- the third one since March. The International Olympic Committee plays down the political shakeup. In a statement, it said any political change won't affect planning and organizing for the games at this late stage. Related: Can Brazil's new president save the economy? Brazil has spent big despite its economic downturn. It has spent $7.1 billion on infrastructure investments, like a new rail line. That is more than Brazil spent for the World Cup, which spanned 12 cities. Those investments won't save Latin America's largest economy. Brazil's economy contracted 3.8% last year and its central bank forecasts that it will grow 3.5% this year. Its economy could still be in the red in 2017, according to IMF estimates. Million of Brazilians have lost their jobs and unemployment is in double digits. Inflation has shot up and the currency, the real, has lost considerable value over the past two years. The recession could limit the number of Brazilians traveling to the games in Rio. In February, Moody's cut its debt rating for Brazil to junk status.